Vibrant party band performing a range of music, from classic hits of the 70s and 80s to brand new chart toppers of today! Hear all your modern favourites by Dua Lipa, Bruno Mars and Beyoncé! High energy 90s themed band bringing you all the classic tunes from your favourite era! Expect hits from Shaggy to The Backstreet Boys, and everything in between. 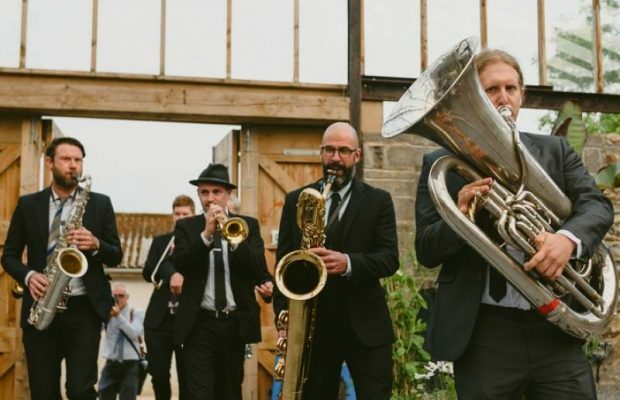 Top-flight wedding band in the South West, performing vintage rock by The Rolling Stones, The Beatles and Van Morrison as well as the odd modern indie anthem! Acoustic duo and DJ option available. Seasoned wedding and corporate function band formed of in-demand session players. Expect a barrage of rock, pop, soul and Motown from Lionel Richie to Justin Timberlake and dancing all night long! Acoustic sets and smaller line ups also available. Expert party trio with a varied playlist, taking you smoothly from the swinging sixties to the best modern rock and pop. Hire the band’s laptop DJ service to keep the dancefloor full between sets. A young and energetic, male fronted 4-piece function band hailing from the South West. Playing everything from Elvis to the Killers! DJ service also available. Fun rock and pop party band featuring both male and female lead vocals and a song list ranging from Whitney Houston and Dolly Parton to Foo Fighters and Queen. Acoustic afternoon sets and DJ service available.